What are Resignation Notice Letters? The process of resignation does not have to be a difficult one, especially if you have a clear understanding of the proper methods of resignation. While it may be a tempting thought to slip out from your company without complying with the proper resignation process, it is far better to remain professional by formally tendering your resignation letter. In order to resign properly, ensure that the reason for your resignation is a valid one by checking the rules imposed by your company regarding valid resignations. Afterward, observe the proper notice period as required by law. It is only after you have complied with the above-mentioned process of quitting your job you can start writing a courteous resignation letter. What is a Resignation Notice Letter? A resignation notice letter is a letter which is sent by an employee to his or her employer or manager whenever he or she is planning to leave his or her job position in the company. What are the Steps Prior to Writing a Resignation Notice Letter? Notice periods: Determine the rules and policies on proper notice period. A notice period is a duration of time (usually two weeks) between the moment you notified your employer of your intent to resign and the moment such resignation takes effect. Reason for resignation: Examine the validity of your reason for resignation by checking the rules set out by your company. The person to be addressed: If you are working in a huge company, it is likely that you may not have an idea to whom you should send your resignation letter template to. That is why it is important to conduct your research first by knowing the full name of the person to whom you should address, their job position title in the company, their contact details, and their address. Once you have made a decision to resign, before you go forward, there are some tips and guidelines to keep in mind. Before anything else, make sure that you observe the proper rules on writing formal letters. Address your employer or manager properly and formally. 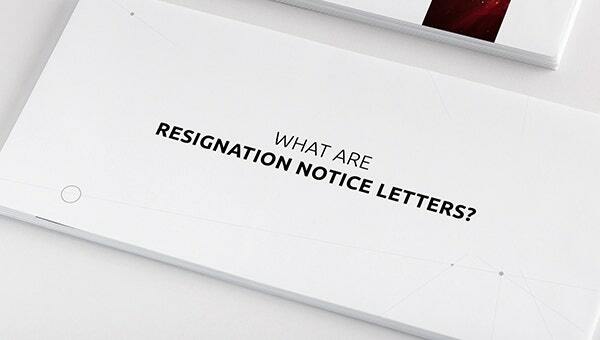 Start your letter by stating clearly the reason for your resignation. Express your gratitude toward your employer for the activities, opportunities, and responsibilities which have helped you grow as an individual and a professional. Mention the particular opportunities and instances when the employer has provided you with an avenue for growth and learning. Offer your services to your employer by telling them that you are willing to help them ease through the transition period more easily. You can do this by offering to train the employee who would fill in your position when you leave it. Lastly, always proofread your letter before sending it. There’s no better way of showing your professionalism when you end in a concise, grammatically, and typographically correct letter. If you want to resign on a cordial and gracious note you can write a Thank-you Resignation Letter. And if there are personal reasons behind your resignation, don’t hesitate in writing a personal resignation letter. How to Organize a Resignation Letter?